MALANG - The Indonesian government has handed over Public Business Loans (KUR) for farming simultaneously, centred in Pandesari, Pujon, Malang Regency, East Java. This is part of the government’s efforts to increase financing access through KUR disbursement. 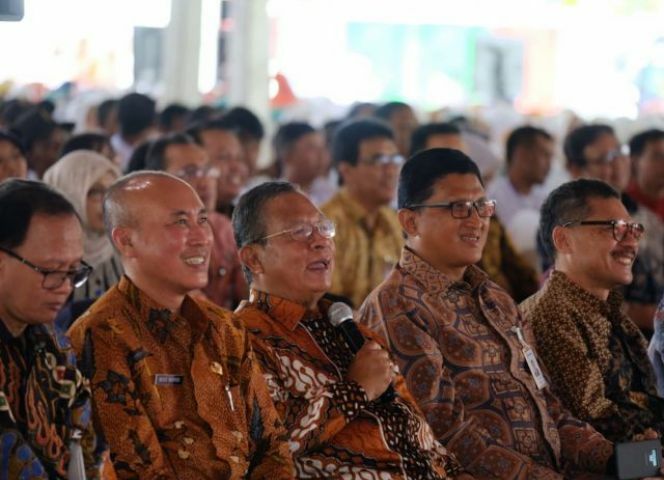 “Public farming KUR is the expansion of KUR aimed at mobilising the traditional economic sector in rural areas managed by the public, which shows that the government sides with MSMEs,” said Coordinating Minister for Economic Affairs Darmin Nasution during the KUR handover in Malang, Saturday (9/2). Pujon, Malang Regency was chosen as the centre of the farming KUR handover because the area has a large number of farmers, supported with spacious and fertile land. The event was also broadcast live through video conference in five supporting locations: East Sumba City, East Nusa Tenggara; Magelang City, Central Java; Central Lampung City, Lampung; Sinjai City, South Sulawesi; and Garut Regency, West Java.